An Amtrak proposal to install fencing and gates near the Hudson River at sites in Columbia and Dutchess Counties is drawing opposition and a call for public hearings. Amtrak contends the fencing would keep out trespassers and enhance safety, while opponents say the fencing would limit access to the river and impact revitalization plans. Amtrak has proposed installing 8,200 feet of fencing and gates along its rights of way to keep pedestrians and vehicles out of harm’s way. The proposal is for six areas, from Rhinecliff in Dutchess County to Stuyvesant, in Columbia County. It’s now in the hands of New York’s Department of State. The DOS will determine whether the proposal is consistent with the state's Coastal Zone Management policies. Initially, there was a two-week public comment period set to close March 28. It was extended until May 1. Democratic state Assemblymember Didi Barrett is calling for public hearings. “This is something that people feel is being snuck in on them and want the opportunity to have public forums and learn what’s being proposed, why it’s being proposed, and share their perspective on it,” Barrett says. A DOS spokesman says the agency welcomes the input of local officials and the public throughout the duration of the public comment period. He declined further comment as the matter is still under review. The right-of-way corridor is owned by CSX, and operated and maintained by Amtrak, which says the proposed fencing would direct pedestrians and vehicular traffic to a road crossing with crossing gates. Jeff Anzevino is director of Land Use Advocacy at Scenic Hudson. He, too, is calling for public hearings. Jason Abrams is Amtrak spokesman. 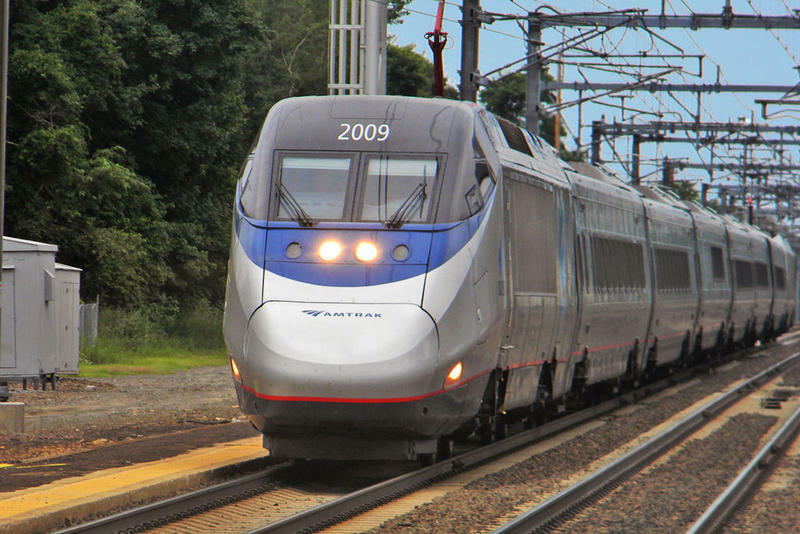 “Amtrak is aware of this project and is working with New York state Department of Transportation and other state partners, including environmental agencies, to ensure the safety and security of our passengers, the train crew and the public along the railroad right of way,” Abrams says. He declined to comment further. Barrett represents some of the communities that would be impacted, and speaks to Amtrak’s safety contention. Amtrak’s fencing and gates proposal is for Rhinecliff, Rhinebeck, Tivoli, Germantown, Stockport and Stuyvesant. Billy Shannon is a member of the Germantown Waterfront Advisory Committee. 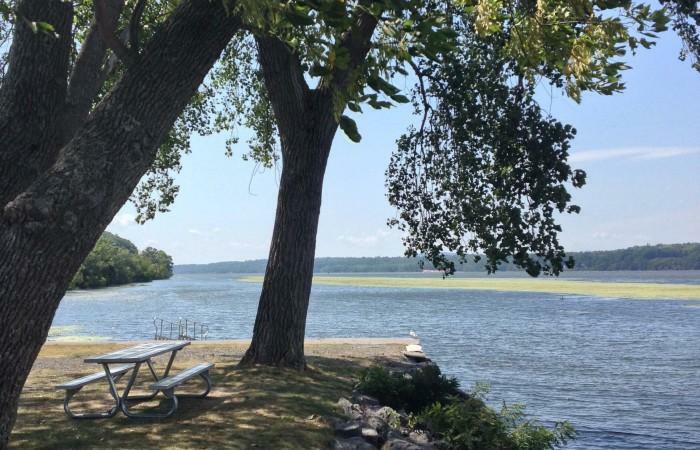 He says the town has been using grant money from the New York State Department of State to complete a Local Waterfront Revitalization Study, which, after a year and a half of public outreach and research, is being finalized this month. Shannon says the proposal conflicts with Germantown’s revitalization plans, which contain sustainable solutions for continued access. “And, yes, it is railroad property, CSX property, but New York state coastal policies makes no distinction between whether access is on land that is owned by the people accessing it or not,” says Anzevino. Meantime, Shannon says members of Germantown’s waterfront advisory committee are organizing a riverfront rally for Earth Day, April 22, as part of a response to Amtrak’s proposal. Amtrak is considering suspending service on tracks that don't have sophisticated speed controls by a December 31 deadline. A New York state assemblymember from the Hudson Valley has launched a public education campaign on Lyme and tick-borne diseases. The initiative is aimed at raising awareness about ticks and their infections and boosting advocacy efforts.